I’m not sure why this is even a font. It’s tacky, ugly, and makes me dizzy. And when it’s only outlined, it’s barely readable. If you use this font, FOR ANYTHING, we cannot be friends. Overall obnoxiousness: 9.5/10. 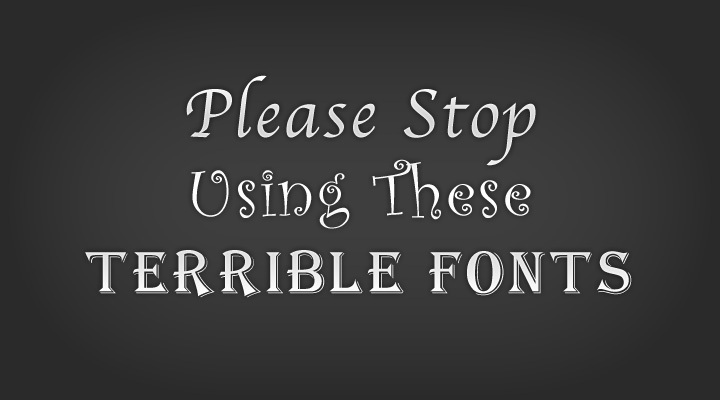 If you’re looking for a fancy font, please don’t use this one. It has uneven heights and busy letterforms. The lines aren’t even graceful–the descenders and ascenders are redundant and extreme. The font calls attention to itself in the wrong way. Overall obnoxiousness: 7/10. This font should be hated as much as comic sans is. It might seem unique, classy, and balanced, but it’s not. The partial outline makes my brain hurt. And unfortunately, it’s used everywhere from Bakeries, to Bars, to Men’s Bathroom labeling. I’m pretty sure this font has some sort of identity crisis. Overall obnoxiousness? 9.5/10. 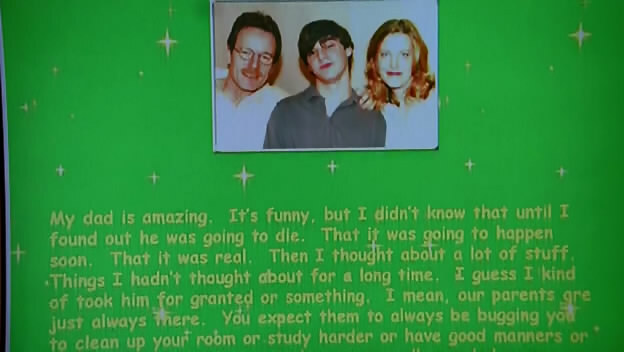 I was watching Breaking Bad the other night and my eyes suddenly tweaked out from the sight of this (found this screenshot on the internets). The producers definitely did this on purpose.